Customers ask me the same question all the time, "I have an iPad, how do I download your SVG files and upload them to Cricut Design Space?" At first I really didn't know how to answer this question. I figured that the process was the same as on the PC. I didn't have an iPad until February of 2018. It didn't occur to me at the time that my files (and many others) all come in a zipped file. Whenever a customer had a problem on uploading on their iPad, I always just ended up unzipping the files myself and sending them via email. Later, I ended up finding an amazing deal for a refurbished iPad Pro on Ebay, and I jumped at the chance to get one myself. I'd always heard that the available apps were amazing for designers, so why not? After I'd used my new iPad for a few days, I tried uploading an SVG file to Cricut Design Space. After a lot of trial and error, it dawned on me that the iPad does not have the capability to natively unzip a zip file. I spend a good while trying to figure out how to do it natively without downloading an unzipping app. But for some reason, the iPad does not have this function built in, so to the app store I went! 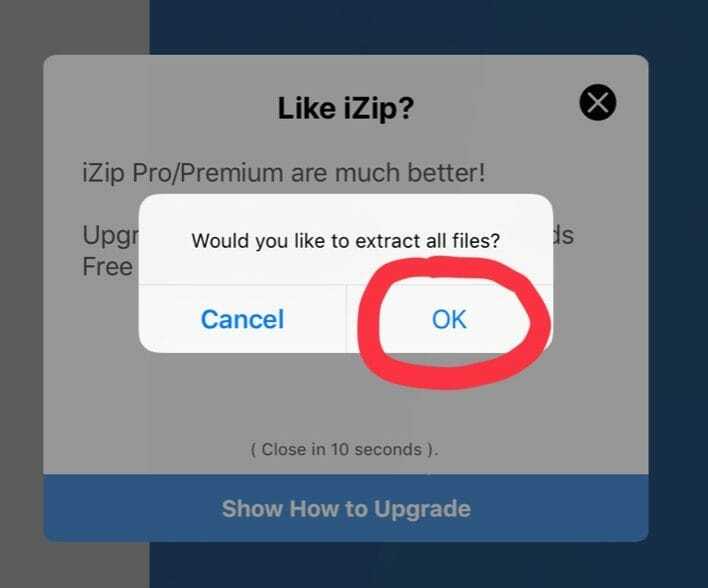 I came across an app called iZip. It was free and had the highest reviews for an unzip tool. I downloaded and tried it out -lo and behold, it worked! 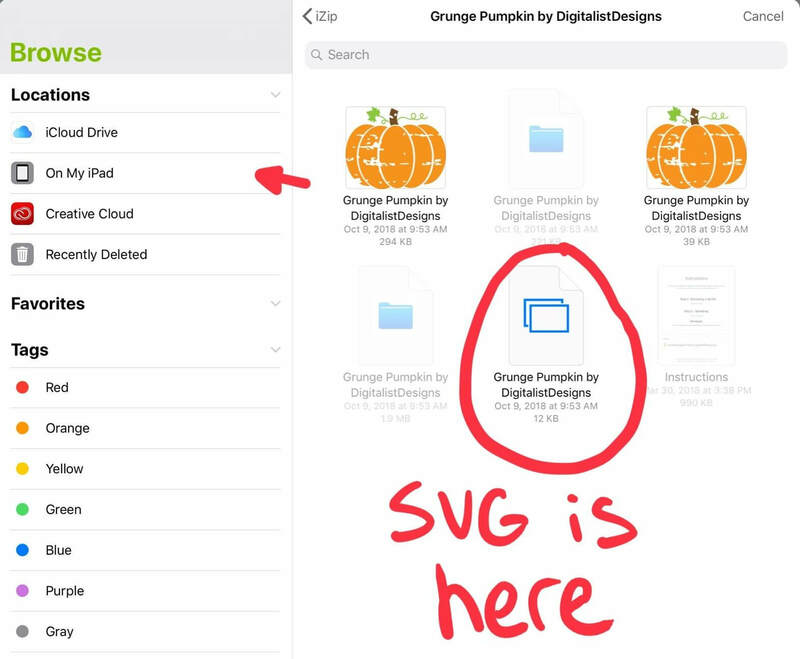 If you're looking for a tutorial on how to upload an SVG file to Cricut Design Space on iPad, you've come to the right place! I wanted to make this tutorial to help out anyone who was like me and had some trouble with this. The app is fairly user friendly, so I would say this is pretty do-able for beginners. First, go to the App Store on your iPad (or iPhone!) and download iZip. Click on it, and the iZip app should open. Scroll down for Step 3. *If you haven't downloaded the file yet, here's an example of how you can do things a little differently. For the purpose of this tutorial, I'll be using the Grunge Pumpkin SVG from my freebies page. 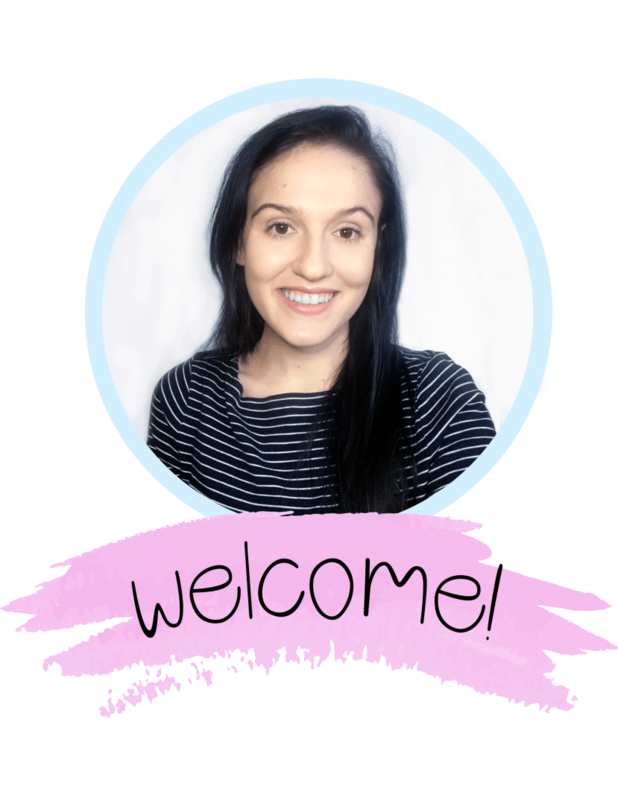 If you're using one of my freebies, after you click download, a Dropbox download screen comes up. Select the ellipses in the top right corner. 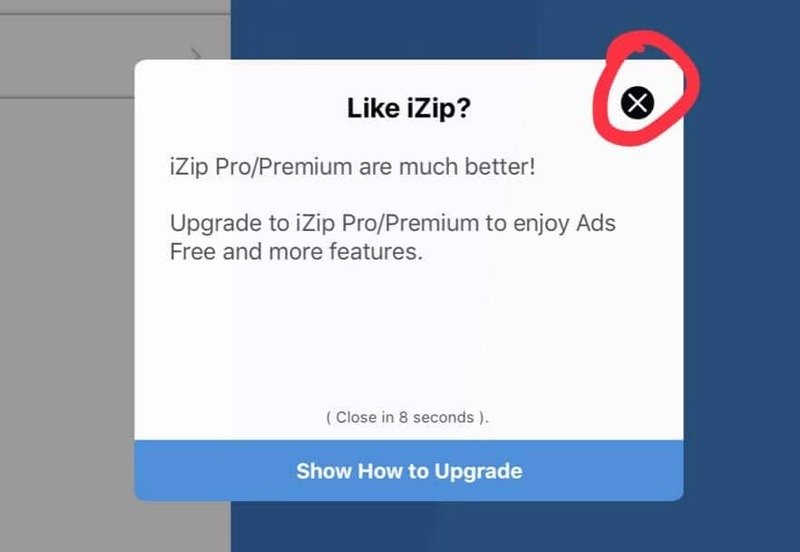 An ad might pop up in iZip, but you can either wait for it to go away, or hit the X in the top right corner. Your folder has now been unzipped! 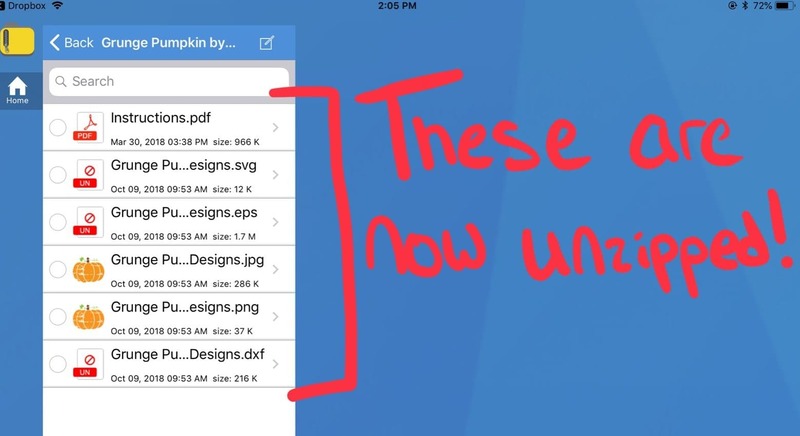 If you're unzipping a document like a PDF, you can either open the file in this app, or in the files folder of your iPad. If you're looking to upload an SVG file to Cricut, read on! 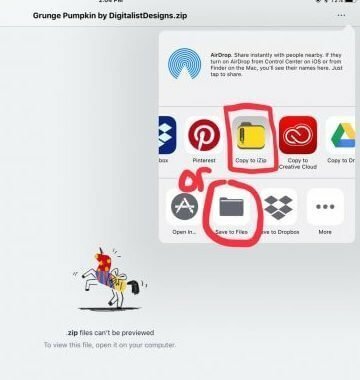 Open your Cricut Design Space app. You can either open a pre-existing project or start a new one. 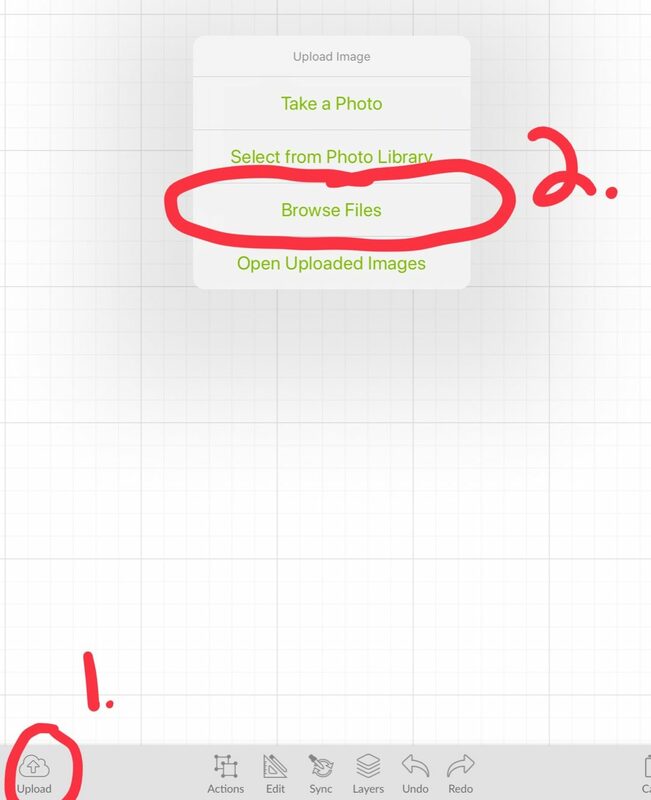 In the bottom left corner of the Design Space screen, select Upload. A dialogue will appear. Select Browse Files. You will then be taken to a screen where you can navigate to find the unzipped folder. There will be two folders for every folder you unzip. One is the original zip file, and the other should look like a regular folder. It should open in the app and Cricut will prompt you to name your upload. 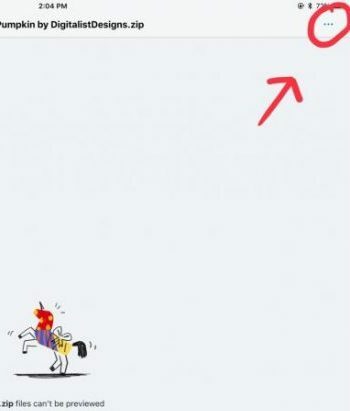 After you are done naming your SVG, choose save in the top right corner. 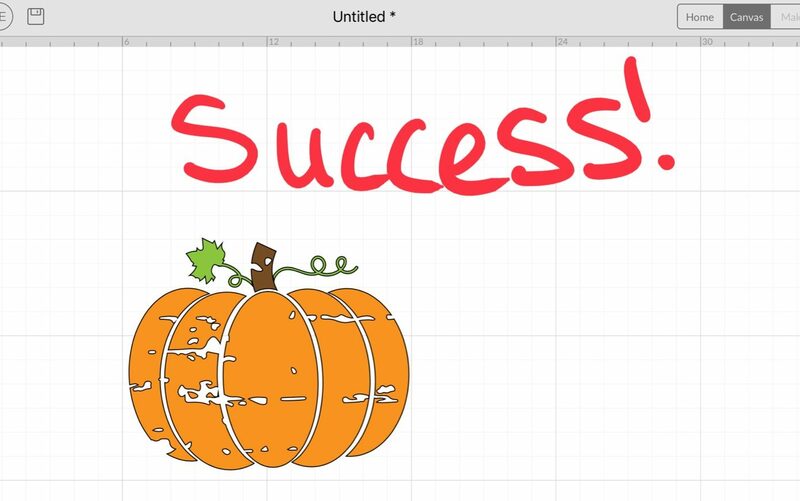 Cricut Design Space will now bring you to a screen with all your uploaded files. Simply select those that you wish to cut out, then select insert in the bottom right corner. That's it! You can then make any additions or adjustments before you cut. 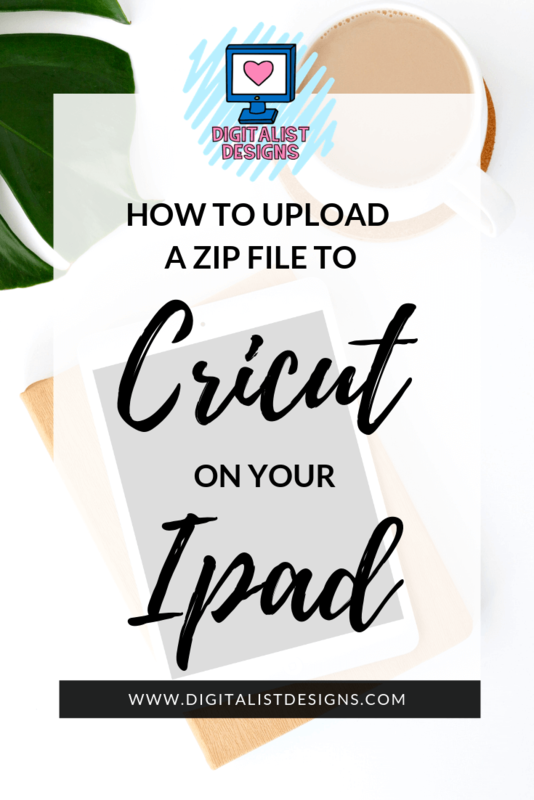 Thanks so much for reading my tutorial about how to How to Upload an SVG file to Cricut Design Space on iPad! I hope you found this post useful! Are there any questions you'd like me to answer in a future post? Let me know in the comments!